Probably the two best things about having been forced to switch to Lightroom from Aperture are the easier workflow for uploading to WordPress/NextGen galleries and to Smugmug, and the aility to use all the Presets from my buddies at the Photo Frontier. For this image I started with one of their LR presets (I forget which one), and added a few tweaks to get this look. It’s brown, and monochrome, but not really sepia. 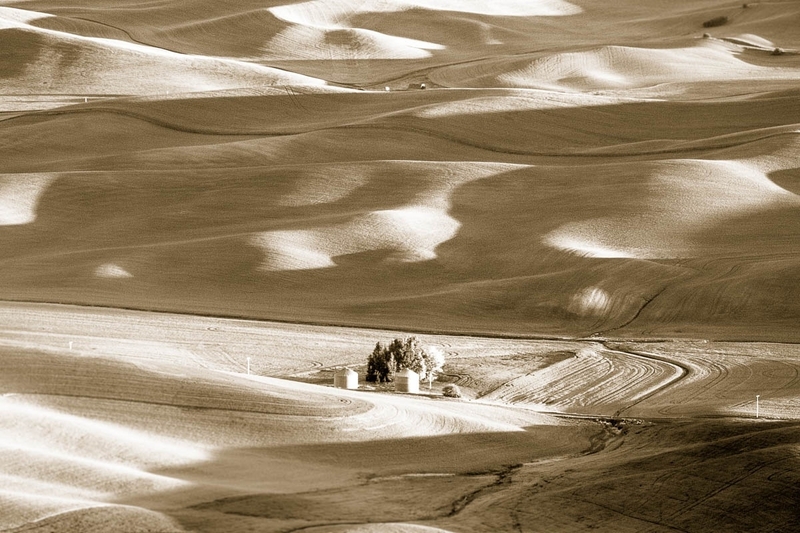 I’ve been playing with different looks for my shots from Steptoe Butte. If you do not play around with processing, they all kind of end up looking the same even though each is unique.